Aztra changed some attributes to Dawn Of Ashes Phoenix Captains Hat: Author changed to 'Aztra'. Aztra changed some attributes to Dawn Of Ashes Phoenix Captains Hat: Description changed. 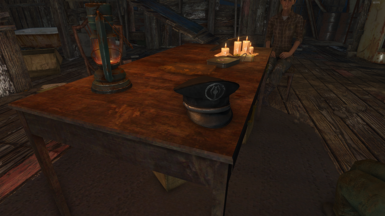 Aztra changed some attributes to Dawn Of Ashes Phoenix Captains Hat: Name changed to 'Dawn Of Ashes Phoenix Captains Hat'. Aztra changed some attributes to Dawn Of Ashes Phoenix Captains Hat: Description changed. ; Mod version changed to 1.0. 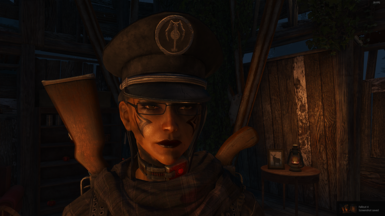 Aztra changed some attributes to Dawn Of Ashes Phoenix Captains Hat: File 'DoA Phoenix Cap (V2)' description changed. Aztra changed some attributes to Dawn Of Ashes Phoenix Captains Hat: File 'DoA Phoenix Cap (1.1)' changed to 'DoA Phoenix Cap (V2)'. ; File 'DoA Phoenix Cap (V2)' description changed. ; File 'DoA Phoenix Cap (V2)' version changed to 1.0. Aztra changed some attributes to Dawn Of Ashes Phoenix Captains Hat: File 'DoA Phoenix Cap (1.0)' changed to 'DoA Phoenix Cap (V1)'. Aztra changed some attributes to Dawn Of Ashes Phoenix Captains Hat: File 'DoA Phoenix Cap (1.0)' category changed to Main Files. Aztra changed some attributes to Dawn Of Ashes Phoenix Captains Hat: File 'DoA Phoenix Cap (1.0)' category changed to Old versions. Aztra changed some attributes to Dawn Of Ashes Phoenix Captains Hat: File 'DoA Phoenix Cap' changed to 'DoA Phoenix Cap (1.0)'. Aztra changed some attributes to Dawn Of Ashes Phoenix Captains Hat: Summary changed. ; Description changed. Aztra changed some attributes to Dawn Of Ashes Phoenix Captains Hat: Summary changed.